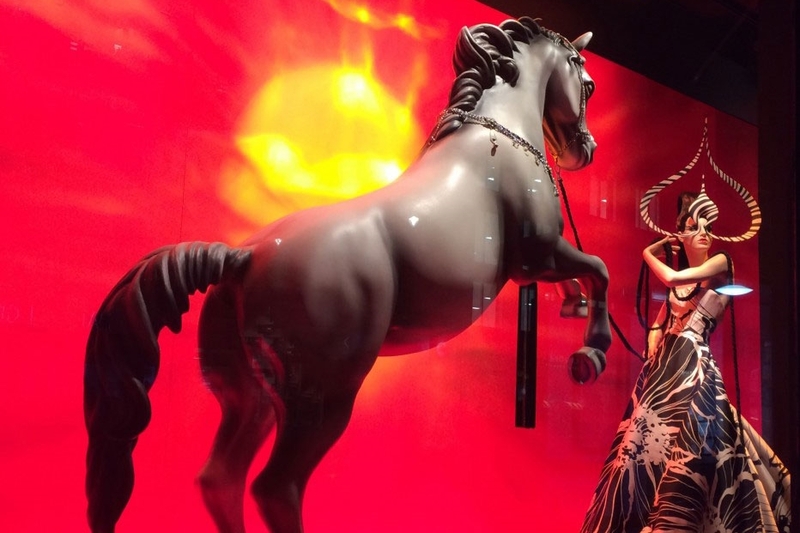 Commissioned by an industry partner, Propability handled the production and installation of seven near full size horse sculpts for Harrods windows, celebrating the Chinese New Year of the Horse. The result was awe-inspiring, incredibly executed pieces of art, manufactured to anatomical precision with a high gloss lacquer finish. The five month project and final sculpts demonstrate the full scale capabilities of the Propability craftsmen. 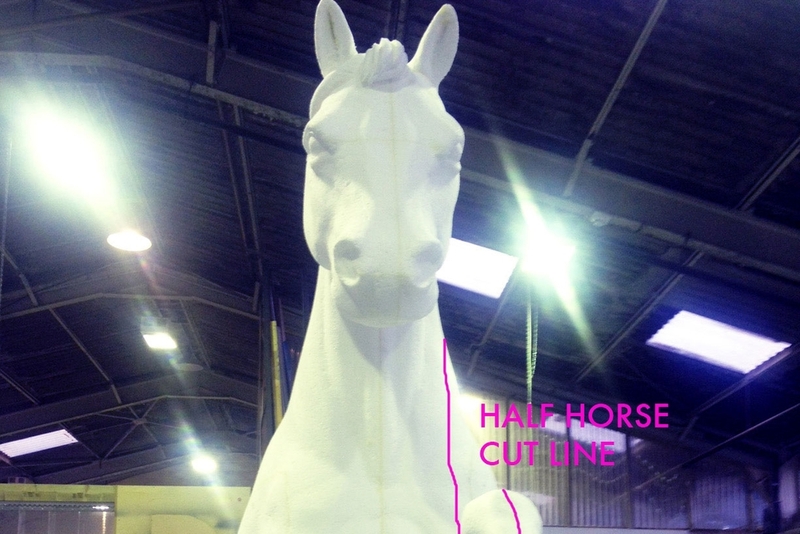 Supplying technical drawings, poly sculpt, moulding, steel work and laser cutting for four whole horses, three split whole horses and one mini horse to a height of 50cm - all of which were delivered in a beautiful high gloss lacquer finish. 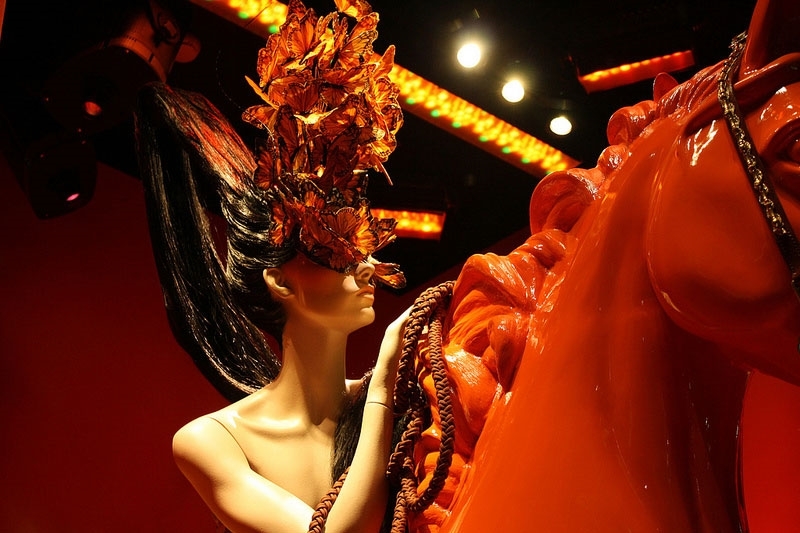 One of the most challenging aspects of the project included working to the size restraints of the access points to the Harrods windows, with three of the final horses needing to be produced as split paired pieces that were then seamlessly joined in the actual window space. The larger full horses were designed to fit through a 570mm wide gap in the window space despite being virtually full size.